The week the High Note is feeling retro with new releases from old friends, and there is a new generation of artists carrying on the musical traditions of the past. Be heard! #TheHighNote on Facebook, Twitter, Google+, Instagram and Pinterest. Fans of last year’s “Shadows in the Night” will hear a lot more of the same on Bob Dylan’s 37th studio release “Fallen Angels.” Released Friday, May 20, “Fallen Angels” is an album of 12 covers spanning a range of American standards recorded by Frank Sinatra, with the exception of “Skylark,” which has been recorded by Bing Crosby, Glenn Miller, Aretha Franklin and Linda Ronstadt. The first single, “Melancholy Mood,” was the B-side from Sinatra’s first single with Harry James, “From the Bottom of My Heart,” released in 1939. Like “Melancholy Mood,” Dylan honors his memory of these songs and stays consistent to his signature style. See Bob Dylan and his band Sunday, July 10 at The Borgata in Atlantic City. 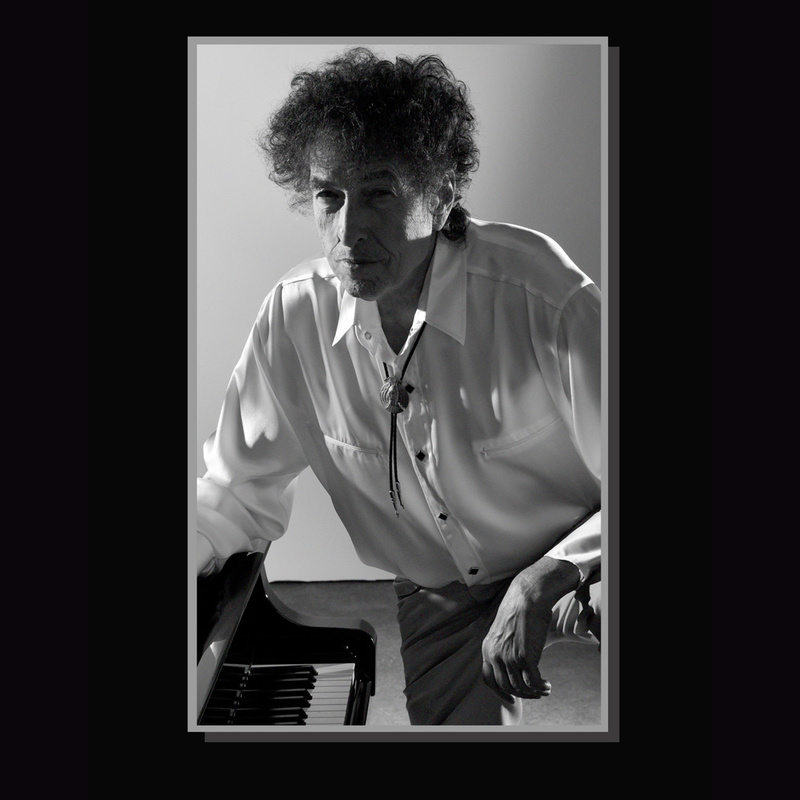 Get “Fallen Angels” from Bob Dylan, iTunes and Amazon. Eric Clapton reunited with “Slowhand” producer Glyn Johns for his 23rd studio album, “I Still Do,” released Friday, May 20. Even the cover art is a throwback, created by Sir Peter Blake, who worked on “Sgt. Pepper’s Lonely Hearts Club Band.” Original songs like “Spiral” and “Catch the Blues” join covers of “I Dreamed I Saw St. Augustine” by Bob Dylan and “Stones in My Passkey” by Robert Johnson. There is no doubt that Clapton is looking back on this album, evident by the video for “Spiral,” but his loose style is refreshing and doesn’t sound manufactured after all these years. Get “I Still Do” from iTunes, Amazon and Tidal. Tom Petty joins his former Gainesville, Florida band Mudcrutch for the follow up to its 2008 self-titled debut, “2,” released Friday, May 20. The band, which includes Heartbreakers guitarist Mike Campbell and keyboardist Belmont Tench, from was signed by Shelter Records in 1974 and released only one single – “Depot Street.” Petty plays bass instead of Rickenbacker guitar, and the band plays straight-ahead rock with some southern influence on the 11 original songs, mostly written by Petty. Mudcrutch sounds like an authentic garage band that applies a southern rock feel to a west coast sound. See Mudcrutch with The Shelters Tuesday, June 7 at The Fillmore in Philadelphia, Pa. Get “2” from Tom Petty, Google Play, iTunes, Amazon, Spotify and Tidal. Deadheads are alive and well in 2016. With the sounds of the Grateful Dead’s 50th anniversary concerts from last summer still fresh in our ears, Aaron and Bryce Wessner of The National have created “Day of the Dead,” released Friday, May 20. The 59-track compilation features 60 artists covering the multifaceted musical history of the Dead. The brothers co-produced the album with Josh Kaufman and the trio joined a house band that includes Sam Cohen, Walter Martin, Bryan Devendorf and Conrad Doucette. Some of the highlights include Jim James on “Candyman,” Mumford and Sons on “Friend of the Devil” and a version of “Shakedown Street” performed by Unknown Mortal Orchestra. You can hear a playlist of the songs that inspired the album on Spotify. All profits from the album sales will help fight for AIDS/ HIV and related health issues around the world through the Red Hot Organization. Get “Day of the Dead” from 4AD Records, iTunes, Amazon, Google Play and Tidal. Malaysian singer-songwriter Yuna blends pop, folk and positive vibes on her latest album, “Chapters” released Friday, May 20. This, her third studio album, was produced by DJ Premier, and showcases her delicate acoustic emotions and her soulful side. Songs like “Crush” are super smooth, mellow and filled with love. On “Lanes,” Yuna pours her heart into the breakup song telling her man it’s time to go. With DJ Premier’s signature style on “Places To Go,” Yuna lets her sultry side show and sets her sights on the world. Truly talented and versatile, Yuna began writing songs at just 14 years old and after gaining popularity in Malaysia, charted in America in 2012 with “Live Your Live” produced by Pharrell Williams. Get “Chapters” from Yuna, iTunes, Amazon, Spotify, and Tidal. The eldest son of Bob Marley released his sixth solo and self-produced studio album, “Ziggy Marley,” Friday, May 20. Marley, who carries on the reggae roots tradition, is spreading the message of peace and love on his latest album. The first single, “We Are The People,” uses themes of unity and harmony throughout the 12 tracks. Bob Marley’s image is known around the world and is used on all sorts of products. Ziggy Marley also announced the “Conscious Party” dry leaf vaporizer to celebrate the release of his new album on May 20. See Ziggy Marley Saturday, June 25 at The Amphitheater at Coney Island Boardwalk in Brooklyn, New York. Get “Ziggy Marley” from Ziggy Marley, iTunes and Amazon.